The Miller Realty Group is excited to host for a 4rd year in a row the Art on the Cay art show and sale. 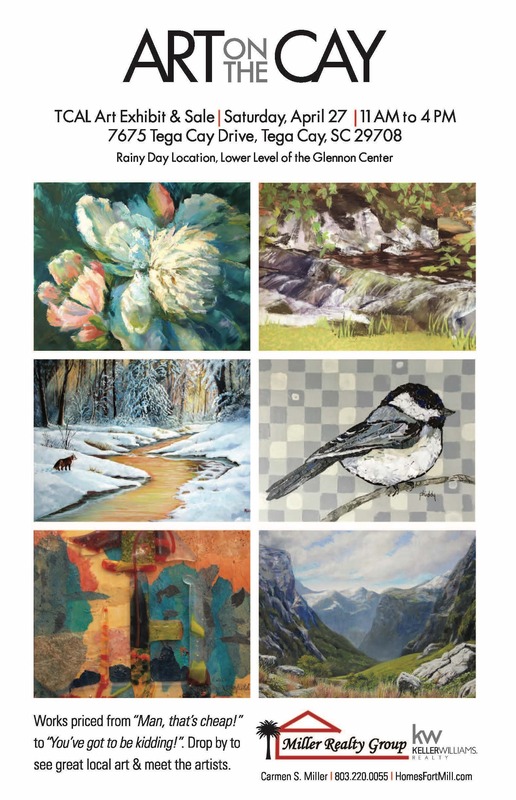 Join us, Saturday, April 27th, 2019, for the Tega Cay Art League?s annual art exhibit & sale. The sale will start at 11 AM and end at 4 PM. See you there! 7675 Tega Cay Drive, Tega Cay. Watch our video for more info?